The Slovak Radio building is one of Bratislava‘s dominant architectural features. The Slovak Radio building is one of Bratislava‘s dominant architectural features. It was constructed at a time when socialist realism was the major art form in Slovakia. Nevertheless, both local and international architectural circles today acknowledge the building’s positive value. This exceptional structure inside the city is a witness to the time when it came into existence. 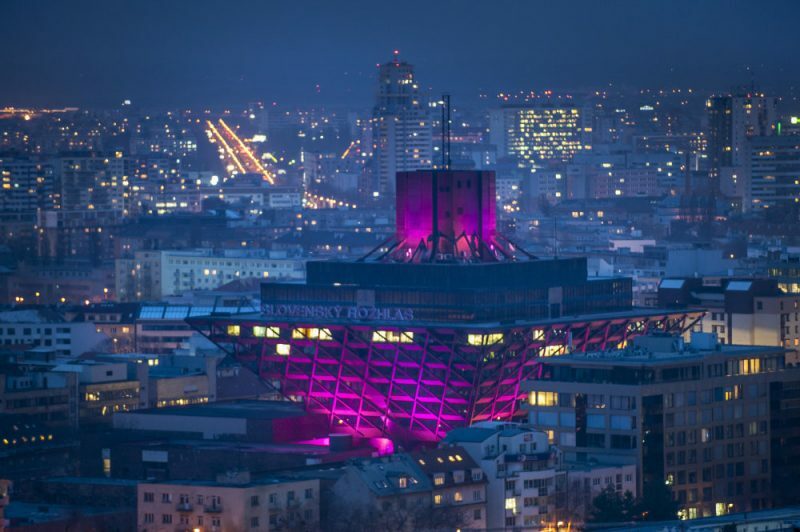 The Slovak Radio Building is constructed on a steel frame in the shape of an upside-down pyramid. It actually consists of two pyramids, with the inner pyramid containing broadcast equipment and recording studios. The total height of the building to the top of its antenna is 80 meters. 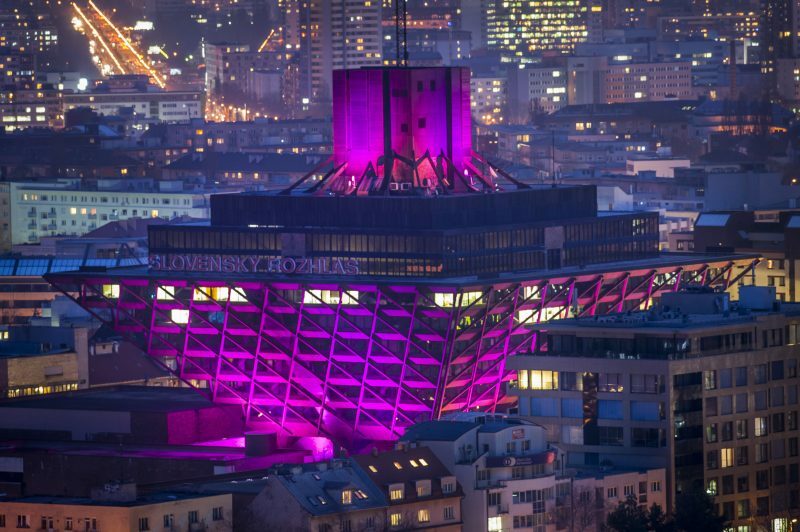 In Slovakia it was awarded Building of the Century in the category of Community Structures. The building was designed by Štefan Svetko, Štefan Ďurkovič and Barnabáš Kissling. Construction began in 1967 and the building was not completed until 1983, with regular broadcasting starting only in March 1985. It includes spacious interior rooms, an outstanding concert hall and a well-equipped recording studio. 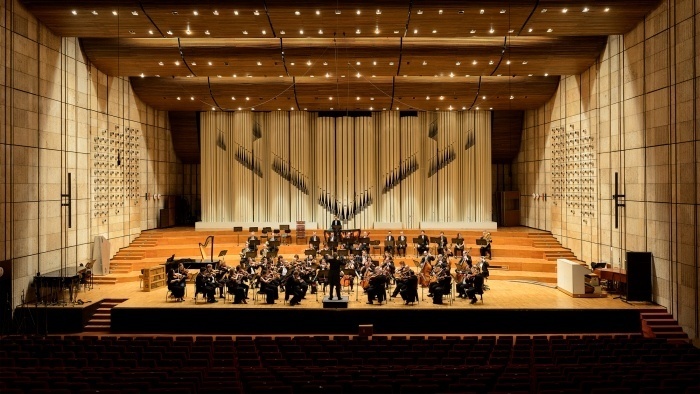 The large Slovak Radio concert studio has 523 seats and is the venue for concerts by the Slovak Radio Symphony Orchestra, while also hosting classical and popular music concerts as well as gigs by alternative bands. It is also home to one of the largest organs in Central Europe with 6,300 pipes and the scene for organ concerts held under the pyramid. The hall has excellent acoustics for recording and is mounted on springs that are used as an acoustic damper to prevent vibration and sound reflection. This makes concerts at the Slovak Radio Building a unique musical experience that can only truly be heard live.